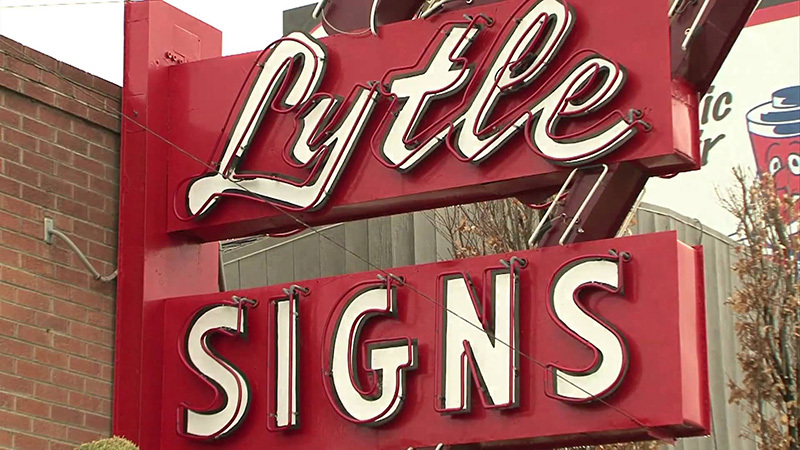 TWIN FALLS, Idaho (KMVT/KSVT) For almost 70 years Lytle Signs was owned by a Lytle. First it was Ray and Florence back when the company started in 1948. Then it was Rex and Emmie for about 50 years. Under Rex’s guidance the company has grown. You’ve probably seen their signs. They make all of the Sinclair signs, a lot of Cafe Rio’s, most of the College of Southern Idaho, the Twin Falls City logo and a lot more. “Lytle Signs has pretty much been my whole life,” said Rex Lytle. As of Thursday the company changed ownership. Now there are 85 owners, and none of them are named Lytle. The company is now owned by an employee stock ownership plan. The 85 qualifying employees now own all of the stock for the company. As Lytle started to get older he started to wonder what he would do with the company. He didn’t want to sell it and risk someone chopping it up for its assets and firing most of the employees. So he ultimately decided the ESOP was the best way of removing himself from ownership. “We’re sure that we have 85 people in Twin Falls and Meridian that are going to continue their job and I have control on that happening as opposed to selling and walking away,” Lytle said. Lytlle has no stock or ownership in the company anymore. He is still the president and chairman. One day he’ll retire and someone else will step into that position. “We hope to attract more good employees and encourage existing employees to move up within the company and make Lylte Signs even more successful moving forward,” Lytle said. Employees saw a presentation on Friday laying out what the ESOP means. Without getting too complicated it’s a lot like a retirement plan. Employees who have worked there for a year or 1,000 hours get stock in the company and as the company grows and generates more stock they get more shares. “It’s exciting to learn about this ownership program they have, that Rex and Emmie Lytle provided for the company is really exciting,” said Mike Shirley a sales executive with the company. Shirley said it helps add incentive and makes them think of their own business decisions in the long-term. “It definitely keeps you motivated to keep going forward,” he said. With the company already making signs at a high rate. Workers who stay with Lytle Signs could watch their shares grow. Speaking of Rex, he’s just happy the business is in good hands. © 2010 - 2019 All rights reserved. Business Transition Advisors. Site by Northwest Media.